Although some verbal agreements can be binding, they can be extremely tough to enforce. You should never take the risk with your business – get your contracts in writing. It will lessen the likelihood of confusion and disputes. Additionally, keep the language simple. Legalese can often make matters unnecessarily complex. It is imperative that you negotiate with the person who has the authority to make binding decisions on behalf of the other party. Failure to do this can result in a significant waste of time. This may seem obvious, but it is a common mistake for contracts to use names for parties that are not their legal names. For example, they use “XYZ” instead of “ABC, Inc. doing business as XYZ” or they include the names of the owners of the business. The terms and conditions of the contract should be clearly spelled out in full detail. If it was verbally agreed upon, it should be included in the document too. If you discover a detail was forgotten, have a short amendment to the contract drafted as soon as possible. The agreement should also specifically state which state law governs the interpretation of the contract. Although nobody wants to think about terminating the contract before it is even signed, it is essential to do so. 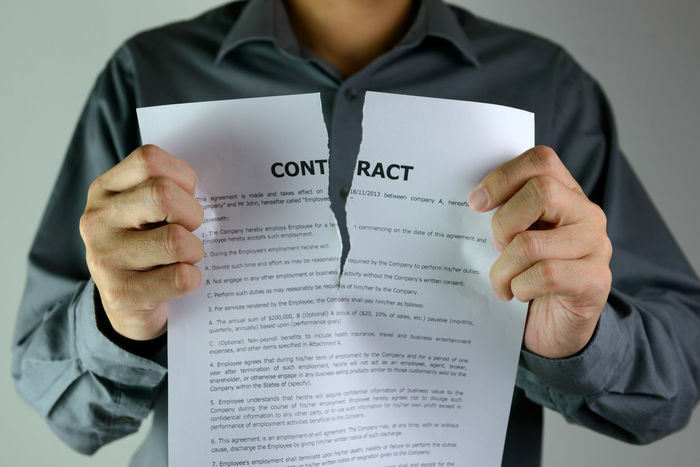 Not only should the agreement contain a termination date, but it should also set forth what will happen if a party defaults under the contract. This may include clauses that outline how disputes will be resolved. 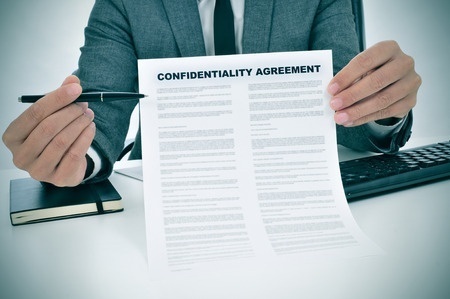 If the contract covers sensitive business information, the agreement should include mutual promises that it will be kept confidential. Is our Letter of Intent Binding? Buyers and sellers often use a letter of intent (LOI) to memorialize their agreement on the key terms of a transaction. Some of the material terms that are included in the LOI are the price, closing date, due diligence terms and other important deal points. Many parties find a sense of comfort once the LOI has been finalized and executed because it is a strong indication that most of the issues have been hammered out and a deal will occur. In fact, the LOI allows a supplier to start buying material in order to provide its customer with the product on time with the comfort of knowing that they will at least get reimbursed for this expenditure. The LOI serves as the approval to go ahead and spend the money. Of course, the smaller issues and boilerplate language are not included in the LOI, so negotiations must still occur during the drafting of the contract. Although the LOI is not intended to be binding, certain contractual provisions such as confidentiality clauses and exclusivity terms are binding on the parties. As a result of this mix between binding and non-binding terms, it may leave you wondering when a non-binding LOI is binding? It is common for the LOI to include a broad disclaimer that the parties are not bound by it unless or until a separate and binding contract has been executed by the parties. Yet, numerous courts have found that the LOI is evidence that the parties had a “meeting of the minds” sufficient to create an enforceable contract that is adequate for awarding damages if a breach occurs. In fact, the court applies an objective test to determine if a binding agreement exists. Thus, whether a party subjectively intended to be bound by the LOI does not matter. Rather, the court examines what a reasonable person in the same position as the parties to the LOI would’ve thought it meant. If you are interested in learning more about a LOI or you need assistance drafting one, contact Leslie S. Marell for an appointment. Depending on the industry, a certain percentage of business is conducted vis-à-vis signed contracts. However, my observation is that much of commerce is conducted by the seller submitting its quotation (with its terms of sale), the buyer submitting its purchase order (with its terms of purchase) and neither signing the other’s form. This is an effective practice, but what happens when both parties have not signed the same document? How do you know what the terms of the agreement are? Unfortunately, it is difficult to answer these questions until after the fact. During contract negotiations, each party typically exchanges its form which contains very different terms from the other’s form. 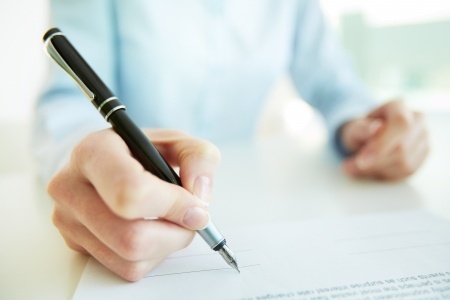 In fact, it is common for numerous forms to be exchanged with competing terms and no final contract to which the parties have agreed to all the terms is ever signed. 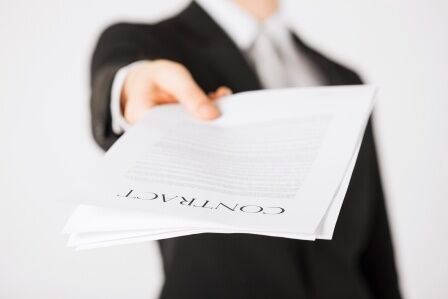 Traditional contract law requires that an offer and an acceptance to that offer be exchanged in order for a contract to be formed. In the real world, the issues are: What happens if the offer and acceptance contain different terms? Has a contract been formed? If so, whose terms control? 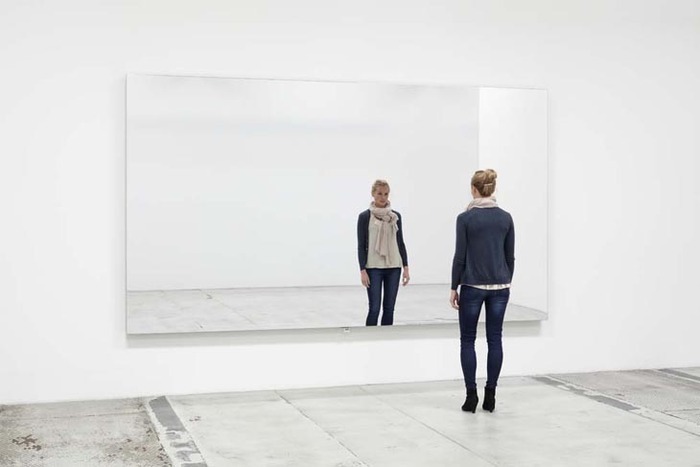 The mirror image rule requires the offer to be accepted “as is” for a contract to be formed. Once an offer is accepted, the parties have a legal agreement. If the party accepts the offer but changes one term, a contract does not exist under the mirror image rule. Rather, the acceptance with the changed term becomes a counteroffer to be accepted or rejected by the other party. 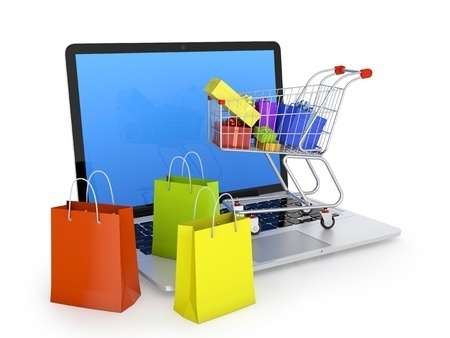 In the context of commerce, if the buyer submits a purchase order with its standard terms and conditions, and the seller accepts it but submits its own standard terms and conditions that are significantly different, there is not a contract under the mirror image rule. In that common scenario, the contract is formed when the parties begin performance. Under the last shot rule, however, the acceptance does not necessarily have to match the offer word for word. In the example above, if the buyer submitted its purchase order with full payment and the seller accepted by sending its own terms and conditions, then the seller’s “acceptance” becomes a counteroffer with its terms and conditions applied. The buyer’s payment constitutes acceptance by performance and, since the seller’s form was the last document to be sent, it constitutes the contract under the “last shot rule.” In other words, the last shot rule provides that the last document sent before performance is the governing document. 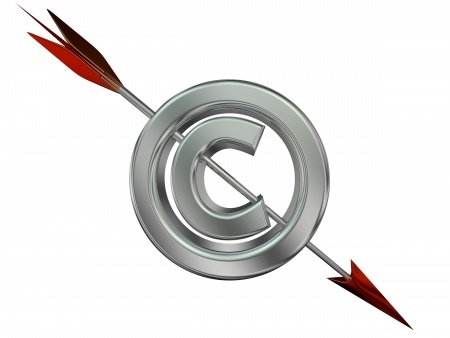 The Uniform Commercial Code (UCC) overrules both the mirror image rule and the last shot rule, which will be discussed further in our next blog. If you need assistance understanding if a contract has been formed or you have questions regarding your company’s contractual needs, contact Leslie S. Marell for help. We serve as general counsel to clients who do not require, or choose not to employ, a full-time lawyer in-house. Call today to schedule your initial consultation. Will the SEC Target Your Company’s Confidentiality Agreement? The Securities Exchange Commission (SEC) has been ramping up its review of confidentiality provisions that affect its enforcement efforts and on the rights of whistleblowers. In fact, the agency has even requested copies of several companies’ employment contracts, non-disclosure agreements, and other documents that have been signed by employees over the past several years. The SEC is looking for any agreements that have a “chilling effect” on an employee’s ability to bring allegations of wrongdoing to its attention. I understand that in order to protect the integrity of this review, I am prohibited from discussing any particulars regarding this interview and the subject matter discussed during the interview, without the prior authorization of the Law Department. I understand that the unauthorized disclosure of information may be grounds for disciplinary action up to and including termination of employment. The SEC alleged this language violated SEC Rule 21F-17(a) which provides that “[n]o person may take any action to impede an individual from communicating directly with the Commission staff about a possible securities law violation, including enforcing, or threatening to enforce, a confidentiality agreement.” The goal of Rule 21F-17(a) is to promote the reporting of potential unlawful conduct to the SEC. This action was resolved by an Order whereby KBR consented to revise the language and to pay $130,000. It is important to note that there was no evidence that the language at issue had ever deterred or prevented an employee from making a report to the SEC or others. The SEC merely reasoned that the language had a chilling effect on whistleblowing efforts. Nothing in this Confidentiality Statement prohibits me from reporting possible violations of federal law or regulation to any governmental agency or entity, including but not limited to the Department of Justice, the Securities and Exchange Commission, the Congress, and any agency Inspector General, or making other disclosures that are protected under the whistleblower provisions of federal law or regulation. I do not need the prior authorization of the Law Department to make any such reports or disclosures and I am not required to notify the company that I have made such reports or disclosures. The SEC is focused on taking enforcement action against company contracts that contain language that have a chilling effect on whistleblowing. Your company should take immediate action to review your employment contracts, confidentiality agreements and other types of agreements to determine if they contain language that the SEC may find has the effect of impeding an employee’s ability to report possible violations to government agencies. This case gives businesses some insight as to what the SEC considers as acceptable language in confidentiality agreements. Of course, this language may not be applicable in every situation and where the language is placed may prove to be important at some point, but for now the KBR Order is the only example we have of language that the SEC deems acceptable. If you have questions or concerns regarding the language used in your employment contracts, contact us today to schedule an initial consultation. Leslie S. Marell has been practicing business and commercial law for over 25 years. She is established in private practice and has extensive legal experience counseling companies in the areas of business contracts and transactions, purchasing, sales, marketing, computer and technology law, employment law and day to day legal matters. Let us provide your company the advice and guidance you need. How Does the CISG Differ from the UCC? The contract may be declared invalid due to its indefiniteness if neither the price nor a formula for calculating the price is set forth. This can be fatal to the contract under the CISG but not under the UCC. If the court must determine the price under the CISG, it will declare the price to be the price charged at the time of conclusion, not the reasonable price standard at the time of delivery that is applied under the UCC. 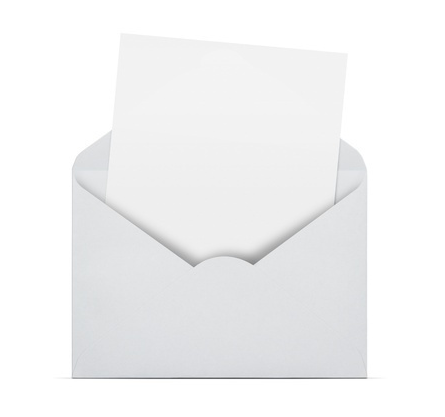 Under the CISG, a revocable offer becomes irrevocable when the offeree mails its acceptance or if the offeree relies on the offer. This gives rise to a potential claim for full contractual damages rather than simply a reliance interest or other quasi-contractual or equitable remedy. If the offer sets a deadline by which it must be accepted, under the CISG the offer is irrevocable until that date. In contrast, the UCC provides that an offer is revocable until it is accepted, with certain strict exceptions. The CISG, in contrast to the UCC, doesn’t require the contract to be in writing or meet any other requirements as to form. In fact, the CISG allows a contract to be proved by any means, including witness testimony. Under the CISG, if the offer and acceptance do not match perfectly (which often occurs when each party uses their own standard forms), the acceptance will be treated as a counter-offer which is often deemed accepted by performance of the contract. This can result in the seller’s terms being applied to the purchase and sale under the CISG, which should be motivation for buyers to opt-out of the CISG. Under the UCC, only the terms that both parties have agreed to will be included in the contract. Finally, U.S. businesses have a better understanding of what to expect under the UCC because there is extensive case law interpreting it. To ensure that the UCC applies to your international contracts for the sale of goods, make sure your contracts specifically and explicitly exclude the CISG. To ensure that your contract provides you with the most protection available, contact Leslie S. Marell to schedule an appointment. Our office is located in Torrance, California, but we proudly serve businesses of all sizes from all over the country. • When a change is necessary, the contract should require the supplier to provide a detailed estimate of the cost of the change. • The contract should require that the supplier receive written approval from a designated department/ representative before proceeding with any change. • The contract should provide that if the parties cannot agree on the cost of the change, the buyer can require the supplier to perform the work based upon a time and materials basis. Additionally, if a time and materials basis is implemented, the contract should set forth the rates that will be paid for the different categories of labor or processes. • Language should be included that provides the basis for direct cost for any materials required as part of the change. It should also address what can be included as a direct expense and what must be provided for in their overhead rate. • The changes provisions should detail the permitted percentages for contributions to the supplier’s overhead and profit, if allowed. • The changes provision should outline the documentation that is necessary to substantiate the costs charged, including copies of invoices and timesheets, and the right to audit the documentation that is not required to be submitted. • The contract should set forth the right to inspect the work in process to confirm any time, labor or material charges. • The changes formula should address how deductions in the scope of work will be managed. A buyer’s leverage in negotiating changes will vary throughout the business relationship. If you have conducted business with the supplier for a lengthy period of time, the supplier is more likely to treat you fairly in order to continue to receive your business. In contrast, if this is your first transaction, the supplier may require more oversight. The safest approach is to protect your interests regardless of the business relationship. If you need assistance, providing for change orders in your contracts or you have questions regarding your company’s contractual needs, contact Leslie S. Marell for help. We serve as general counsel to clients who do not require, or choose not to employ, a full-time lawyer in-house. Call today to schedule your initial consultation.